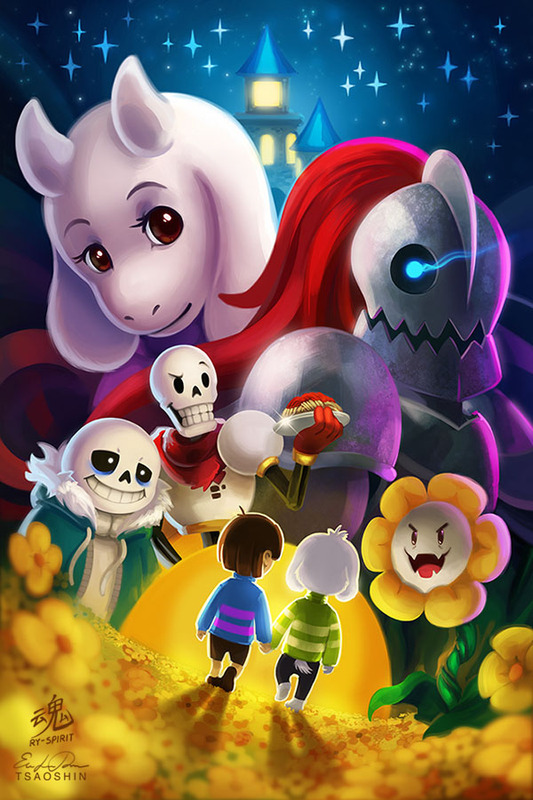 Undertale debuts on Game-Art-HQ with this pretty Fan Art! I was reading very praising reviews about the Undertale Indie RPG and also saw that really a ton of artists support the game through their fan art on dA, what’s so great about the game? However, let’s come back to the really cool collaboration art between Ry-Spirit and Tsaoshin. I like both artists and both are doing some damn professional looking video game fan art since years, but what I really dig is the respect between these guys. That’s a cool attitude, looking forward to see more collaborations between them!